Right to Rent checks are in breach of human rights – according to a High Court ruling made on Friday 1 March 2019. The court further said that the requirement to carry out Right to Rent checks led to discrimination against non-UK nationals and British ethnic minorities. The Judge concluded that discrimination was taking place because of the scheme. Right to Rent checks are in breach of human rights, according to a recent High Court ruling. Right to Rent was introduced in England only through the Immigration Act 2014. The court has now said the Government should not roll out the scheme in Scotland, Wales and Northern Ireland without further consultation. Landlords in England though, must continue to carry out the checks at least for the time being. The discrimination that is supposedly taking place is based around nationality rather than race. If a prospective tenant relies on a passport other than a British passport, the evidence provided by the Joint Council for the Welfare of Immigrants and research by the RLA suggests that there is a greater likelihood that the landlord will not let to them. One of the reasons that a landlord may take the decision not to rent their property to someone if there is any doubt, is that getting it wrong can lead to a financial penalty or possibly to a criminal record and imprisonment and an unlimited fine. 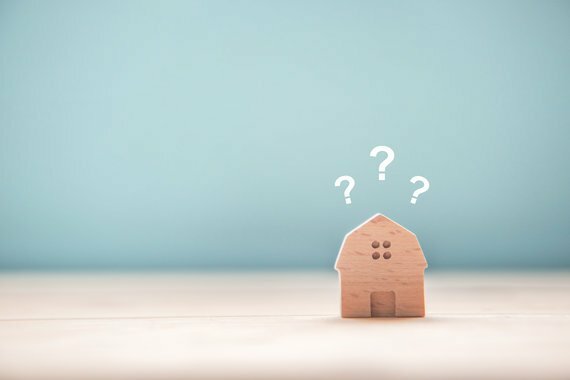 It is not difficult to understand why some landlords may decide to take the ‘safer’ option and rent only to persons who they are sure to qualify. Despite it having been in force across England from February 2016, a number of queries seem to recur on a regular basis. These tend to revolve around the timing of the checks, how to carry out the checks, who is responsible for carrying out checks and what will happen if a visa is not renewed. We shall address these queries and at the same time clarify the process of carrying out Right to Rent checks. Who carries out Right to Rent checks? Right to Rent checks apply to tenants, permitted occupiers and lodgers who are 18 or over. The checks will need to be carried out by whoever is granting the occupation. In most cases, this is likely to be the landlord or agent on behalf of the landlord. Where a tenant grants occupation of the property without the knowledge of the landlord or his agent, then the tenant is responsible for carrying out the relevant checks. One example of this is during a company let where the tenant (the company) switches the occupiers around for work reasons. In this instance, the tenant authorised the occupation and therefore must assume responsibility for the checks. Mistakenly some landlords and agents are of the belief that these checks only need to be carried out on non-EU nationals. This is not the case and all tenants from all countries including Great Britain and other European countries (including EEA and Switzerland) are required to be checked. Nationals of other countries are likely to have a limited right to remain and will ordinarily have a visa or leave to remain. The Government have produced a guide of acceptable documents to evidence a person’s right to remain which is available on the Gov.uk website. The site also gives detail of the Home Office Landlord Helpline, offering advice in relation to Right to Rent. When should Right to Rent checks be carried out? Right to Rent checks need to be carried out prior to the landlord authorising the occupation of a property by an adult under a residential tenancy agreement. Currently, once a holder of a relevant form of identity from the EU, the EEA, and Switzerland (including the UK) has passed the check, they do not need to repeat the process again until such time as they rent a new property. We will, of course, wait to see what will happen with Brexit, however, we understand that when Brexit happens, retrospective checks on current tenants will not be required. There is, however, a requirement to carry out ongoing checks for those nationals of other countries which is established in section 27(4). This states that the eligibility of a valid Right to Rent check is for the longer of 12 months from the last check or until the period of leave or validity of the visa expires. The result of this is that once a valid check has been carried out the earliest that a new check would need to be repeated is 12 months since the last check. A frequent query revolves around whether occupation can be allowed to start where the person’s visa expires within the fixed term of the tenancy. The answer is that the landlord only commits an offence if, at the time that the landlord authorises the occupation, the person did not have a Right to Rent. The proviso here is that where the person needs permission to be in the UK, the check must be carried out within the 28 days leading up to the occupation. If post occupation the Secretary of State notifies the landlord that the all persons in the property no longer have a Right to Rent, then this can be enforced as an order of the court, without actually needing to go to court. The landlord may serve a notice giving no less than 28 days beginning with the day the notice is served. The notice is enforceable as if it were an order of the court. If only one person is disqualified then the landlord may serve a section 8 notice using ground 7B in part 1 of Schedule 2 of the Housing Act 1988 and apply for possession, though the court may transfer the whole tenancy into the name of those with a Right to Rent. A Right to Rent check must be carried out in person with each adult providing original documentation. The onus is on the landlord or agent to check that the document is genuine and belongs to the person. This is a particular issue as forged documents are very sophisticated. There would in all likelihood be a defence if a forgery was so good that the person checking could not reasonably have been able to deduce that it was a forgery. The Home Office has indicated that they will be looking for agents to trial an online Right to Rent scheme similar to the Right to Work Checking Service rolled out in Jan 2019. If Right to Rent is to continue then this would alleviate some of the practical issues of checking and copying documents and recording the date of the check for each person. The Home Office have a landlord’s helpline for those instances where the person is unable to produce the necessary documents. This may be because the person’s documents are with the Home Office. The Home Office is supposed to provide verification that the person does have a Right to Rent or not. Anecdotal evidence suggests that the service works well and that the timescale is met. We posted an article in January 2019 concerning The Immigration (Hotel Records) Order 1972 which should be read in conjunction with this article as it requires a landlord to check the identity and nationality of all persons to whom accommodation is being provided. One of the differences between this Order and the Right to Rent checks is that the Order requires the provider of accommodation to include the details of all those aged 16 or over (Right to Rent is 18 or over). Right to Rent checks, according to a High Court ruling, are breaching human rights! Find out who, when & how Right to Rent checks should be carried out. Our property our decision to rent to the most eligible person who meet all the criteria. I work the same with my properties with EVERYONE that applies. Stop using racial prejudice as a weapon in everything. All it does is create racial prejudice because everybody knows its a minefield that can cost a bomb and in some cases bankrupt people.